Home MMA News Yoel Romero Can’t Fight Paulo Costa At UFC 230! 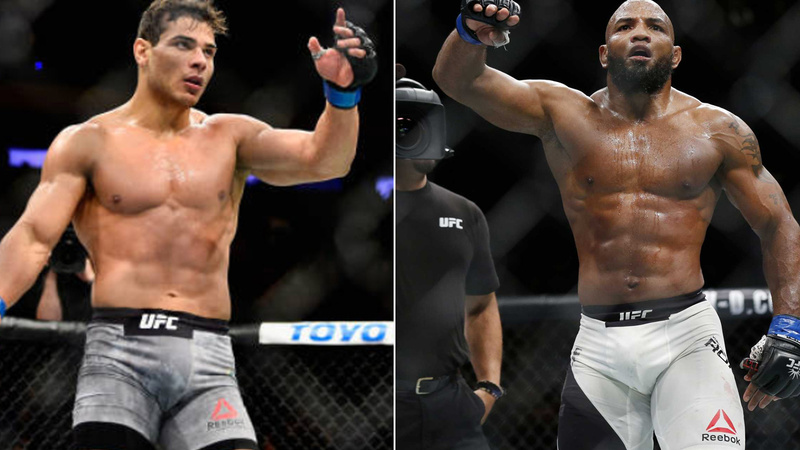 Yoel Romero Can’t Fight Paulo Costa At UFC 230! Unfortunately, the fight between two hardest hitters in UFC Middleweight division won’t happen at UFC 230! Yoel Romero told Ariel Helwani that he can’t face Paulo Costa on November 3rd! Yoel Romero had plans to go to Light Heavyweight division and challenge Daniel Cormier. Yet, DC turned the offer down. At the moment, Romero wants to win UFC Middleweight title. Despite all weight cut issues, Romero isn’t giving up. Even at the age of 41, he has inked a new eight-fight contract with the UFC. The Soldier Of God hopes to fight Paulo Costa until the end of this year. Yoel Romero might recover for UFC 232, which will be held on December 29th at T-Mobile Arena in Las Vegas, Nevada. If it happens, it would be the great New Year’s spectacle between two very strong superstars. Who is your favorite, Costa or Romero?